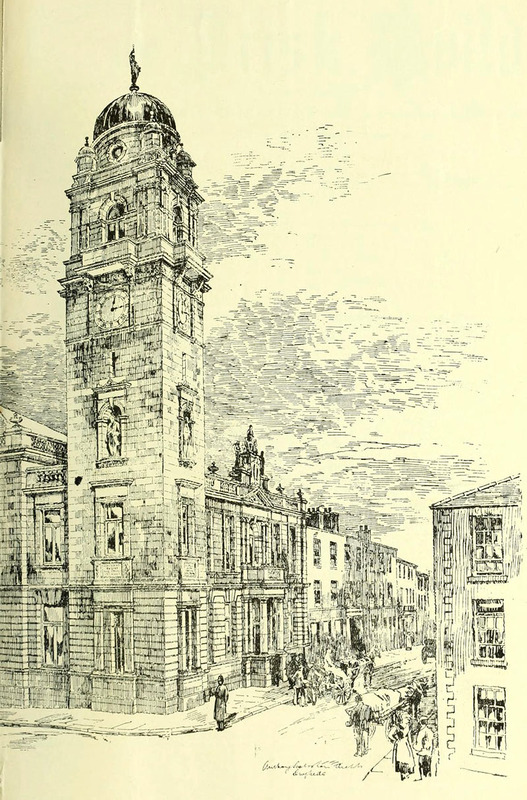 Designed by Anthony Scott with his son William as a competition entry in 1897, the Townhall was not completed until four years later, and cost twice its original estimate. 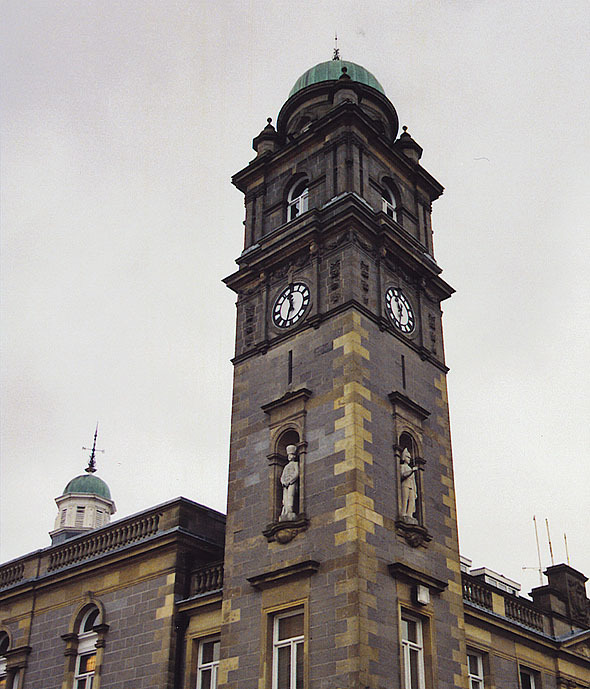 The building is dominated by the clocktower with sculpted niches and a circular domed tempietto. The assembly hall is on the piano nobile and was reduced after bomb damage in the 1970s. It is reached by a fine marble staircase. 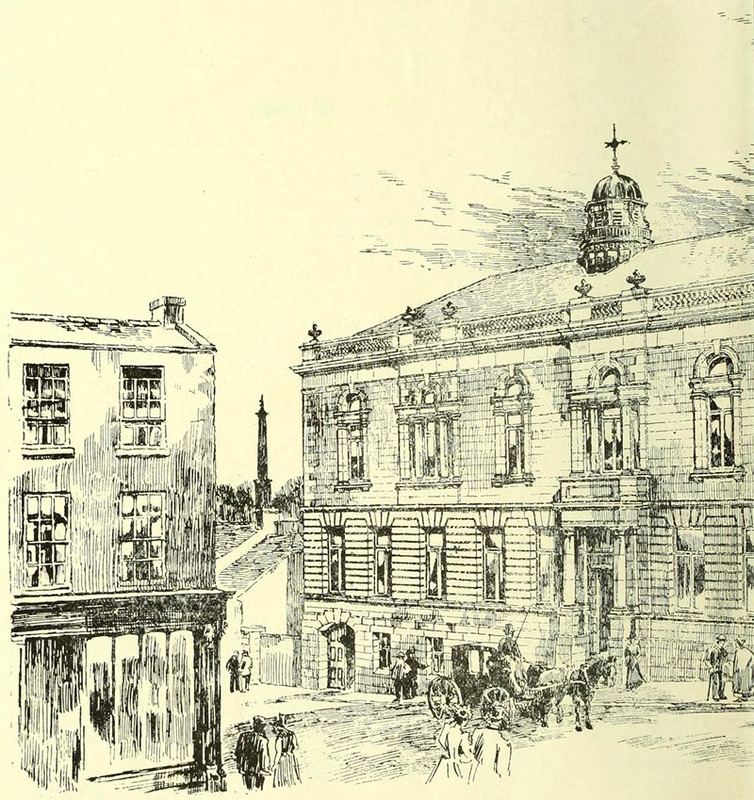 A few years later, William was to design the wonderful Townhall of nearby Cavan.